Mac McDonald of Vision Cellars is not what you would expect from someone making some of California's best Pinot Noir. Mac speaks with a southern drawl, wears a farmer's hat, and sports blue jean overalls in a world of California's "Wine Country Casual." He is a boutique craftsman who makes his wine in the corporate beast that is Wagner Family Wines. He is also African-American in an industry where diversity is in the terroir and almost never among the winemakers. Mac McDonald is also one of my favorite winemakers. Not only because he makes delicious Pinot Noirs - which he does - but for the perspective he brings to the industry. Please enjoy this 5 minute video or read the transcription afterwards. This is Episode #55 of the Understanding Wine with Austin Beeman Podcast. // Direct Download Link. 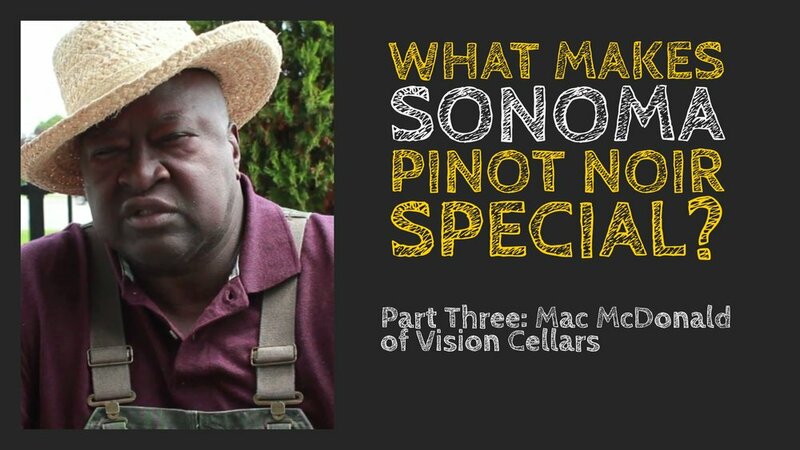 Winemaker of Mac McDonald (part one) of Vision Cellars interviewed by Austin Beeman. Mac McDonald discusses his path from rural Texas to being a winemaker in California. I am Mac McDonald. I'd like to say I'm the owner, winemaker of Vision Cellars but I'm married with Miss Lil so I just make the wine for Miss Lil. Well, you know, it's kind of interesting how I got into wine. I grew up 89 miles south of Dallas, Texas. I grew up way in the woods, way in the country. I consider myself as an old organic kind of a guy, growing back up in there, squirrel eatin' type of a guy. At 12 years old, there used to be a couple hunters used to come down in these woods and go hunting with my grandfather and drink my father's moonshine. So one of them used to drink burgundy and these guys would give him a hard time about drinking that burgundy wine, blah, blah, blah. But they was drinking corn whiskey. So one day he said to me, he says, "Hey, son, would you like to have this bottle of wine?" And said yes, but 12 years old, I didn't know how to get it open but I finally dug out the cork out of it and I took a stick and shoved it off in there and I tasted it. You don't have to worry about Child Protective Service because they didn't have anything back off in the woods to do that anyway. At any rate, I tasted it and I drank a half a bottle of that wine that day. It tasted pretty good. From that point on, all I talked about was I wanted to be a winemaker. Fast forward through high school, my coach says to me, "If you wanna make wine, you need to move to California." That's why I moved to California, from Texas to California. I grew up about 89 miles south of Dallas, Texas, around Palestine, Waco, in that area. 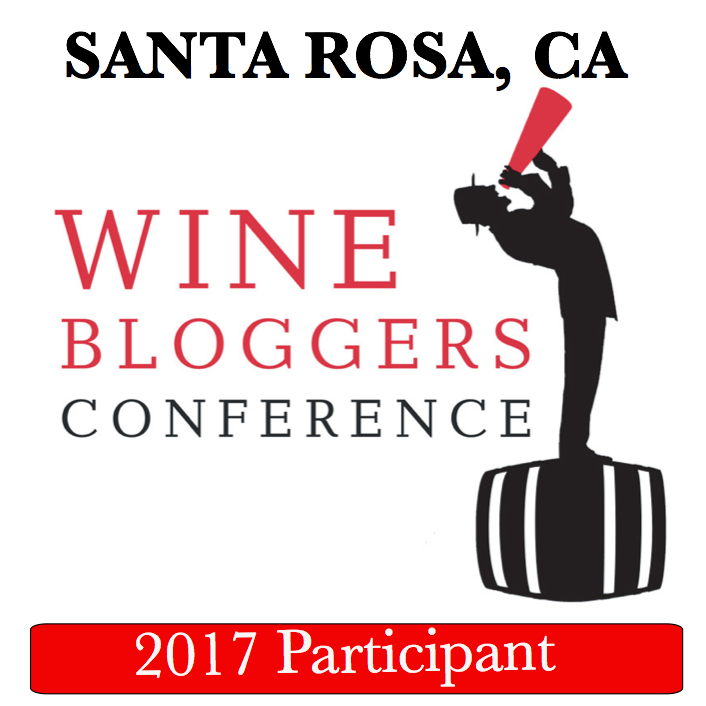 So I get into California, we had a pretty tough time getting to know winemakers and I didn't know who they were or what they do, any of that thing. So I started hanging around up in Mendocino County, which is about 160 miles north of San Francisco. Met a guy by the name of John Parducci up there and old John wouldn't give me the time of day but that was okay because some kid coming out of Texas talking about you wanna make wine but I kept going back up there and he started talking to me, telling me stuff. But really what kicked me off into this wine business is I met a family over in Napa valley. A family called the Wagner family and I hung out with Mr. Wagner probably for 9 months and I didn't know who he was, he didn't say anything about who he was. And one day the taster room manager came out and said, "Hey, why you always out here bothering Mr. Wagner?" And I says, "Well, what do you mean? That old guy out there?" He goes, "That ain't just some old guy, that's Mr. Wagner. He own this place." I had no idea for 9 months I'd been hanging out with the owners of Caymus Vineyard. Fast forward a little bit further, I've known the Wagner family for around 31 years. 17, 15 years or so after hanging out with him, Mr. Wagner said to me, "Son, you ought to be in the wine business." And I thought, "Well, you know, I'd like to but I don't have that kind of money." He goes, "Don't worry about it, we'll take care of ya." So 17 years ago, my wife and I, Miss Lil, we started Vision Cellars and to this day, I'm the only non family member that's allowed to make wine at Caymus. All my wines are crafted at Caymus Vineyard in Rutherford, California. I make 'em all myself. We own some vineyards in Sonoma County, which is about 110 miles north of San Francisco, Russian River Valley. We own this little vineyard there and we do craft wine from that vineyard. That's basically how I got into the wine business.